Almost nothing is known about Jesus beyond biblical accounts, although we do know quite a bit more about the cultural and political context in which he lived—for example, Jerusalem in the first century. 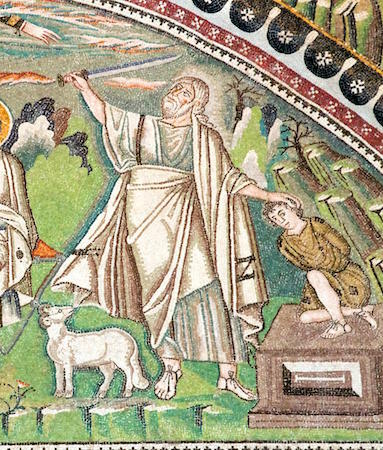 What follows is an introductory historical summary of Christianity. It hardly needs stating that there are many interpretations and disagreements among historians. The biblical Jesus, described in the Gospels as the son of a carpenter, was a Jew and a champion of the underdog. He rebelled against the occupying Roman government in what was then Palestine (at this point the Roman Empire stretched across the Mediterranean). He was crucified for upsetting the social order and challenging the authority of the Romans and their local Jewish leaders. 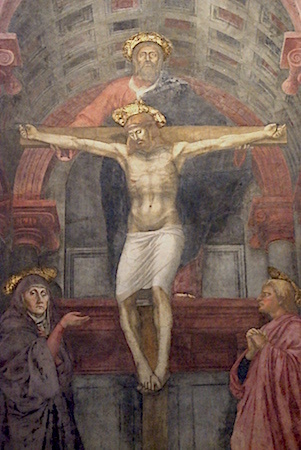 The Romans crucified Jesus, a typical method of execution—especially for those accused of crimes against the government. 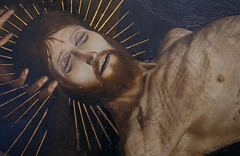 Jesus’s followers claim that after three days he rose from the grave and later ascended into heaven. His original followers, known as disciples or apostles, traveled great distances and spread Jesus’s message. His life is recorded in the Gospels of Matthew, Mark, Luke, and John, which are found in the New Testament. “Christ” means messiah or savior (this belief in a savior is a traditional part of Jewish theology). Early on, there were many ways that Christianity was practiced and understood, and it wasn’t until the second century that Christianity began to be understood as a religion distinct from Judaism (it’s helpful to remember that Judaism itself had many different sects). Christians were sometimes severely persecuted by the Romans. In the early fourth century, the Roman Emperor Constantine experienced a miraculous conversion and made it legally acceptable to be a Christian. Less than a hundred years later, the Roman Emperor Theodosius made Christianity the official state religion. The first Christians were Jews (whose bible we refer to as the Old Testament or the Hebrew Bible). But soon pagans too converted to this new religion. Christians saw the predictions of the prophets in the Hebrew Bible come to fulfillment in the life of Jesus Christ—hence the “Bible” of the Christians includes both the Hebrew Bible (or the Old Testament) and the New Testament. In addition to the fulfillment of prophecy, Christians saw parallels between the events of the Hebrew Bible and the New Testament. These parallels, or foreshadowings, are called typology. 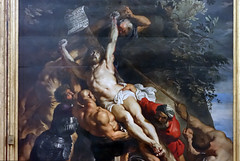 One example would be Abraham’s willingness to sacrifice his son, Isaac, and the later sacrifice of Christ on the cross. We often see these comparisons in Christian art offered as a revelation of God’s plan for the salvation of mankind. 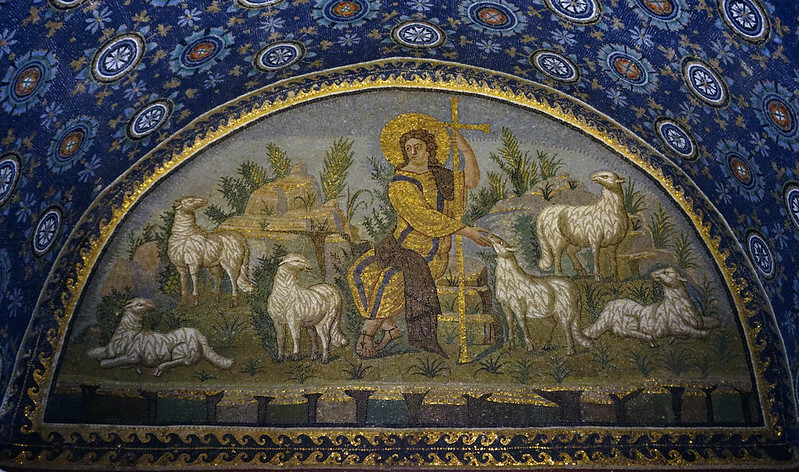 Unlike Greek and Roman religions (there was both an official “state” religion as well as other cults), Christianity emphasized belief and a personal relationship with God. The doctrines, or main teachings, of Christianity were determined in a series of councils in the early Christian period, such as the Council of Nicea in 325. This resulted in a common statement of belief known as the Nicene Creed, which is still used by some churches today. Nevertheless, there is great diversity in Christian belief and practice. 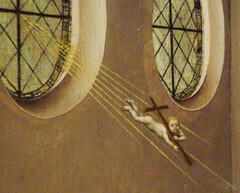 This was true even in the early days of Christianity, when, for example, Arians (who believed that the three parts of the Holy Trinity were not equal) and Donatists (who held that priests who had renounced their Christian faith during periods of persecution could not administer the sacraments), were considered heretics (someone who goes against official teaching). Today there are approximately 2.2 billion Christians who belong to a multitude of sects. The two dominant early branches of Christianity were the Catholic and Orthodox Churches, rooted in Western and Eastern Europe respectively. Protestantism (and its different forms) emerged only later, at the beginning of the sixteenth century. Before that there was essentially just one church in Western Europe—what we would call the Roman Catholic church today (to differentiate it from other forms of Christianity in the West such as Lutheranism, Methodism etc.). Christianity spread throughout the world. In the sixteenth century, the Jesuits (a Catholic order), sent missionaries to Asia, North and South America, and Africa often in concert with Europe’s colonial expansion. Christianity holds that God has a three-part nature—that God is a trinity (God the father, the Holy Spirit, and Jesus Christ)* and that it was Jesus’s death on the cross—his sacrifice—that allowed for human beings to have the possibility of eternal life in heaven. 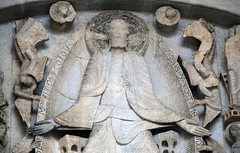 In Christian theology, Christ is seen as the second Adam, and Mary (Jesus’s mother) is seen as the second Eve. The idea here is that where Adam and Eve caused original sin, and were expelled from paradise (the Garden of Eden), Mary and Christ made it possible for human beings to have eternal life in paradise (heaven), through Christ’s sacrifice on the cross. Christian practice centers on the sacrament of the Eucharist, which is sometimes referred to as Communion. Christians eat bread and drink wine to remember Christ’s sacrifice for the sins of humankind. Christ himself initiated this practice at the Last Supper. Catholics and Eastern Orthodox believe that the bread and wine literally transform into the body and blood of Christ, whereas Protestants and other Christians see the Eucharist as symbolic reminder and re-enactment of Christ’s sacrifice. 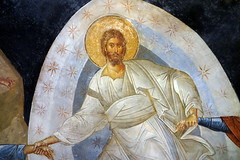 Christians demonstrate their faith by engaging in good (charitable) works (works of art—like the frescoes by Giotto in the Arena Chapel—were often created as good works). They often engage in rituals (sacraments) such as partaking of the Eucharist or being baptized. Traditional Christian churches have a hierarchical structure of clergy. Devout men and women sometimes become nuns or monks and may separate themselves from the world and live a cloistered life devoted to prayer in a monastery. *There are also nontrinitian Christians. 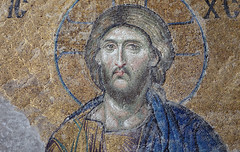 Cite this page as: Dr. Beth Harris, Dr. Steven Zucker and Dr. Nancy Ross, "Christianity, an introduction," in Smarthistory, August 8, 2015, accessed April 24, 2019, https://smarthistory.org/christianity-an-introduction/.